Many sports (in particular Paralympic sports) have specific rules that govern competition for athletes with a disability. Where an athlete with a disability is competing in an able-bodied competition and requires rule modification to compete effectively, officials should be aware of and incorporate these internationally recognised rules. In cases where a sport does not have internationally recognised rule changes, the official may need to negotiate appropriate rule changes for the individual to enable them to compete inclusively. The official should consider the level (local; state) and nature (elite; social) of the competition and the ability of the athlete when considering possible rule changes. If your first approach to communication is unsuccessful don’t give up, try finding another way. One of the most important things that an official can do is to adopt an inclusive approach to working with athletes with a disability. Provided an official is prepared to accept each participant as an individual, officiating a person with a disability (or participants of varying ability levels, or backgrounds) is not a difficult task. Every person is unique. 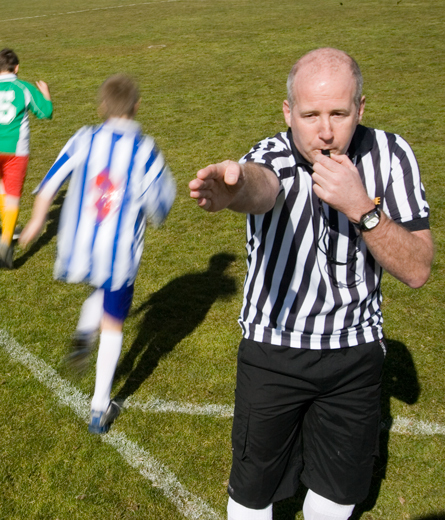 Adopting an inclusive philosophy to officiating will benefit both the official and the participants. People with disabilities have the right to participate in sport. They are very capable of being involved and can tell the official what they are able to do. It is not necessary to acquire extensive knowledge of the disability. The official simply needs to understand how the impairment affects the participant’s performance. Effective communication is essential, especially for participants who have sensory or intellectual disabilities. If a conversation lasts more than a few minutes, consider sitting down or kneeling to get yourself on the same level as a participant in a wheelchair.